James (Jim) Sullivan is an experienced Brazoria County criminal lawyer. For 25 years, Sullivan has successfully fought the government in jury trials on behalf of clients in criminal and juvenile courts. 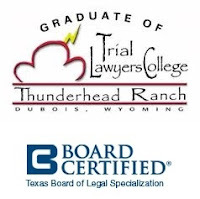 James Sullivan attended the Trial Lawyers College founded by legendary lawyer Gerry Spence and was invited to join The National Trial Lawyers organization. Sullivan has a proven record of defending people from all walks of life, faiths and countries in courts throughout Texas. Located in northwest Houston and serving the counties of southeast Texas, James G. Sullivan and Associates provides those accused of murder, manslaughter and negligent homicide with an aggressive, experienced defense. Since 1994, Sullivan has defended at trial several clients accused of murder and homicide related charges. To consult in confidence with an experienced Brazoria County criminal defense lawyer, contact Attorney James Sullivan at 281-546-6428.